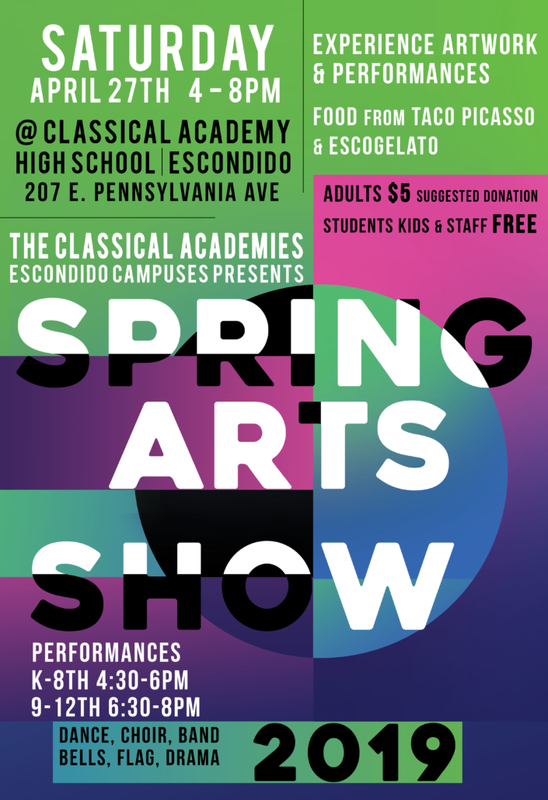 The Classical Academies annually present a performing and visual arts showcase in April. Students from all of our campus locations display collaborative artwork and performances. There are make-and-take art projects, food trucks, community art, and more! Escondido campuses– April 27, 2019 from 4:00 pm-8:00 pm. Oceanside and Vista campuses– May 17th from 3:00 pm-5:00 pm. For more information please contact Cathy Hamilton at chamilton@classicalacademy.com or 760-300-5671.